Does your next project stretch across multiple borders? Do you have a supply chain that includes parts or materials from several different countries? From a business standpoint, the world is shrinking at a rapid rate. It’s rare in today’s environment for an entire logistical chain to operate within one country. While globalization offers many benefits, it can also create unique challenges. Packaging is one of them. The team packaging your parts in one country may not have any contact with the team who receives the shipment in another. Standards, such as sustainability requirements, may differ across various countries and continents. Finally, if there’s an issue of nonconformance, how do you determine which team is at fault? We have over 3000 employees at 93 locations in 11 countries around the world. 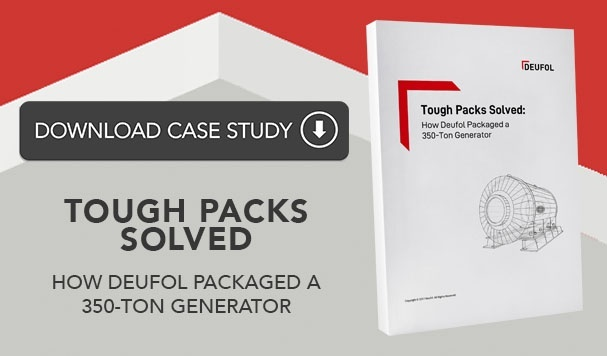 You can overcome these challenges by working with a global packaging partner like Deufol. We have over 3000 employees at 93 locations in 11 countries around the world. That coverage allows us to provide top-tier packaging and logistical services everywhere, no matter where your project takes us. There are significant advantages to working with a global packaging partner. First, you have a single point of contact for all your packaging needs. You don’t have one packager in the U.S., another in Europe, and still another in Asia.  There’s one packager who covers the entire globe. A global partner also helps you apply set criteria across your entire supply or distribution chain. From quality to sustainability and more, you can ensure that your containers and parts are packaged to your standards at all times, no matter the country of origin. A global packaging company can also provide transparency. At Deufol, we use a variety of technological tools from scanning and GPS to photo documentation to provide real-time monitoring and status updates. You know where your shipments are at all times across the globe. For more than 115 years, we’ve helped companies across many diverse industries overcome their packaging and distribution challenges. Below are a few examples of how we reduce risk and improve outcomes on a global scale. We work with a global energy company to help them hit their sustainability targets. 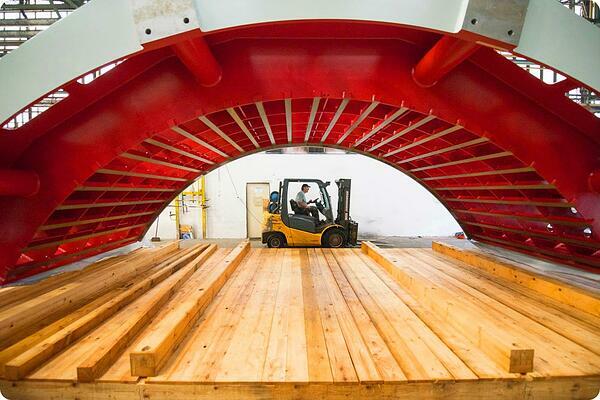 They use specially stamped punching pallets to ship parts from Germany to their U.S. facility. We receive these pallets at our nearby center, checking for quality and nonconformance. We then deliver the pallets and packages to the energy company’s building. After unloading the pallets, we collect and store them in our warehouse. Once we have a container’s worth, we ship them back to Germany for reuse. 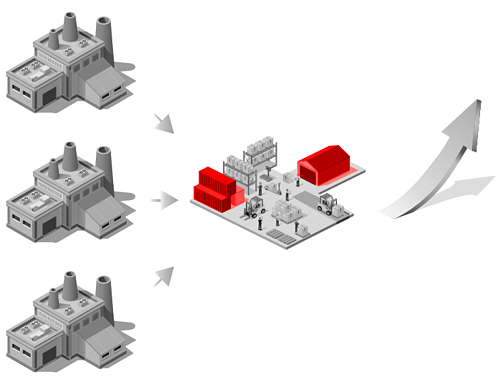 This process improves quality and minimizes costs. More importantly, it boosts sustainability. Without a global packaging partner, the company would have to routinely dispose of the pallets, resulting in more expensive, wasteful shipments. Deufol manages the packaging and shipping of those parts to the job site. We coordinate the shipment, the port-of-entry process and delivery to the final location. We also keep a detailed record of each part, so we know what needs to be unpacked in a specific order. Once everything is unpacked, we check for quality and nonconformance. The company can monitor the shipment’s status throughout this entire process. That transparency thus minimizes costs, reduces risk and forms a high level of trust between Deufol and the client. Relocation can be a logistical nightmare, but it’s even more challenging when it happens across borders. Deufol helped one particular company disassemble, package and transport all their equipment and inventory to their new facility on schedule. The process started with a thorough on-site review in which we could evaluate everything that needed to be moved and develop our strategy. We then built custom crates, pallets and other logistical tools to maintain the highest level of quality during the project. We used photo documentation technology to obtain physical evidence of all items before and after transport. 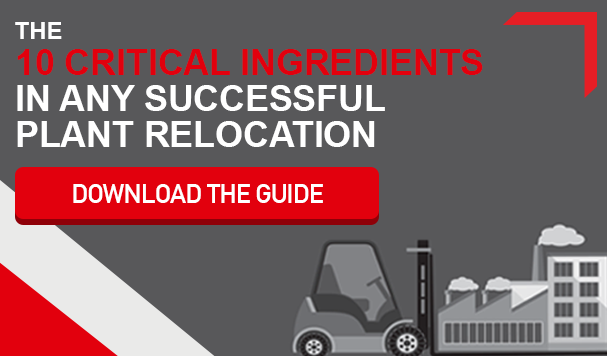 This process minimized risks and kept the relocation running smoothly. Are you ready to streamline your process with a global packaging partner? Let’s talk about it. We can help you analyze your process, identify risks, and implement a strategy. Contact us today to discuss your packaging and logistics needs or browse our redesigned website for more on our comprehensive services.